Polar bears stranded on melting Arctic ice floes. 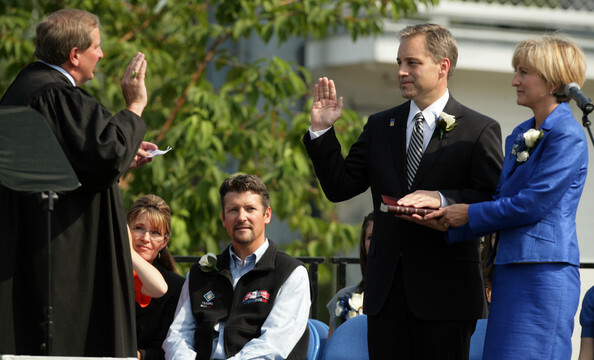 ANCHORAGE, Alaska — Alaska Gov. Sean Parnell says he has the best interest of polar bears at heart, but he doesn’t intend to let the federal government’s expanded protection for bears get in the way of the state’s continued prosperity. 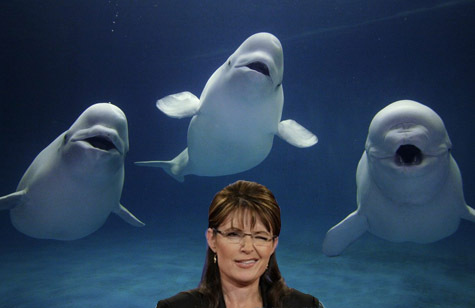 Like his predecessor, Sarah Palin, the governor is suing the federal government to overturn the listing of the iconic symbol of the Arctic as a threatened species, a move made last year that he believes could threaten Alaska’s lifeblood: petroleum development. As Alaska North Slope wells dry up, the state is turning to potential offshore discoveries to refill the Trans-Alaska pipeline and ensure the long-term prospects of a $26 billion proposed natural gas pipeline. Protections for polar bears under the Endangered Species Act could thwart that, Parnell says, adding that they’re not needed. 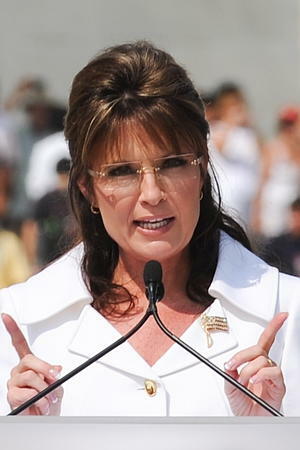 ANCHORAGE, Alaska (AP) – Sarah Palin hit the vice presidential campaign trail last year and touted what Alaska could provide for the rest of America — a natural gas pipeline to help lead the country to energy independence. When a pipeline might be built remains a giant question for Alaskans who need the project to support a vulnerable economy and for the Lower 48 states that need the gas. But an expert who spent more than 25 years in the Alaska Department of Revenue says it may never happen under Palin’s plan.